Rhapsody for BlackBerry out of beta | BlackBerry Blast! Rhapsody for BlackBerry is now out of beta and available in the BlackBerry App World. Rhapsody allows users to access over 10 million songs via WiFi or 3G for only $10 per month. You can also download songs to your device for playback when you're not in a WiFi or 3G area, like on an airplane. If you're a music lover you really need to check out Rhapsody. We love it! You can listen and purchase songs with Rhapsody so it's well worth the monthly subscription. 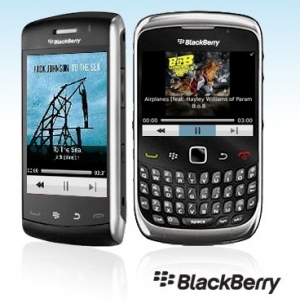 Check out the BlackBerry App World for the details.